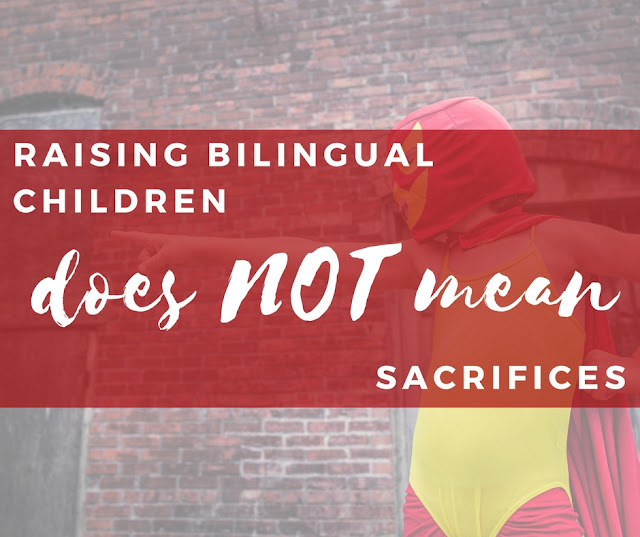 There have been a few recent articles about how many sacrifices you have to do to raise bilingual kids or how much money you need to spend. Some have suggested that they even sacrifice their own language learning and their relationships for their children's bilingualism. I guess I am not the typical reader or target audience of these articles because I, personally, find them rather disappointing and pointless. I have said it! No apologies. While I don't disagree with the fact that raising multilingual children CAN BE time consuming or expensive or even that it may mean a few sacrifices along the way, I think articles like these just approach the topic from the wrong end of the stick. Would you write/read an article about how much money you need to spend to raise your monolingual child (in terms of language costs I mean): buying him/her books , DVDs, finding a nanny or a playgroup to go to? Probably not. Sure, kids need DVDs in more than one language, yes, it would be great to have a Portuguese speaking au pair. But really if bilingualism is to happen, it will happen! Speak to your kids, read to them, do what comes naturally, show them how important it is to you and it will happen. This money thing is crazy. The total of these sums adds up to more money than I can ever spend on my kids. Millions of kids around the world have become multilinguals with 0$, € or ¥ spent for that purpose. How many kids in Africa are exposed to 3, 4 or even more languages and do just fine? They become multilinguals and use their languages for different purposes and areas of their lives without ever questioning it or spending a dime on languages. Granted, the society is also in most cases multilingual but there are plenty of multilinguals out there, just seek them out. By publishing such articles, we are perpetrating a myth that multilingualism is an elitist phenomenon. This is simply wrong. There are also plenty of ideas out there to do it cheaply (check out these free online stories for example, these songs and videos from around the world or even some printables in many languages) Not everyone can afford an au pair and you certainly don't have to. The relationship sacrifice also makes my skin crawl. I cannot for a second imagine myself not being 100% comfortable in my own communication with my husband for the benefit of my kids! Wouldn't that defeat the point? What example would I be giving my children? What about my own life? My own love? Of course, choosing a language between you and your partner can and will impact your children's development. Yet, I will never contemplate using a language I am not comfortable in to discuss love, life-changing decisions, finances and much more. I am not saying you have to be fluent in whatever language you choose. I am saying you have to be comfortable and happy with your choice. It cannot be a sacrifice or less "effective" it has to be a pleasure and it has to work efficiently. With all these blogs and websites about bilingualism and raising multilingual children, I cannot help but wonder: are we over analysing and over-promoting bilingualism? I am starting to wonder. If bilingualism is as natural as monolingualism, then why all these posts about what to do and when and why we need to make sacrifices and how much it costs, etc? Why can we not just speak and read and play, have fun, relax and meet other people just like monolingual families do and the languages will follow? Isn't it what some societies do and their children are effortlessly multilinguals? We really need to stop thinking of multilinguals as odd people, as the ones who need specialist help. What if we are getting it all wrong and multilinguals are the default option? 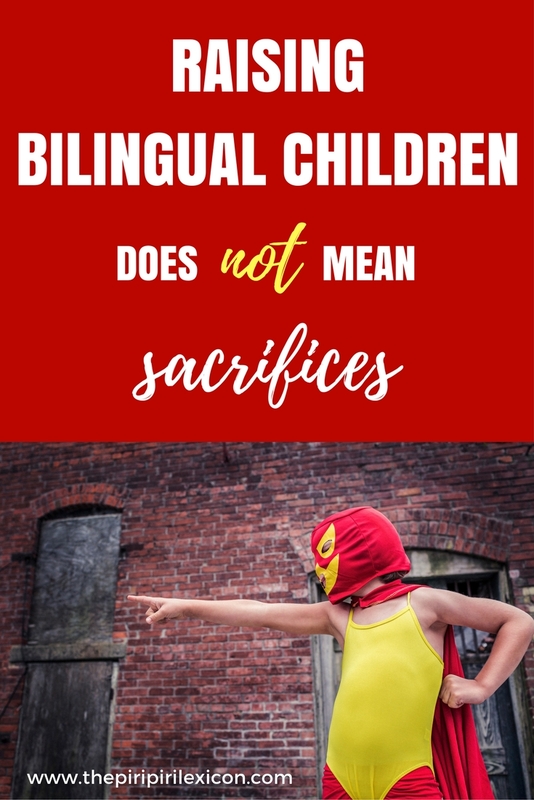 As far as I am concerned, yes, I consider my children's language situation when I choose schools or books but this does not keep me awake at night, I do not sacrifice anything for their multilingualism. And certainly not my relationship with my husband. I make decisions for us as a family to be happy first and foremost. Multilingualism is an added bonus. If you think about your children's multilingualism in terms of sacrifices, then to me, you do not see it as something natural, which is ultimately sad and is bound to fail in some way or another. Seek out multilingual and multicultural experiences: friends, food, music, TV, art, etc. 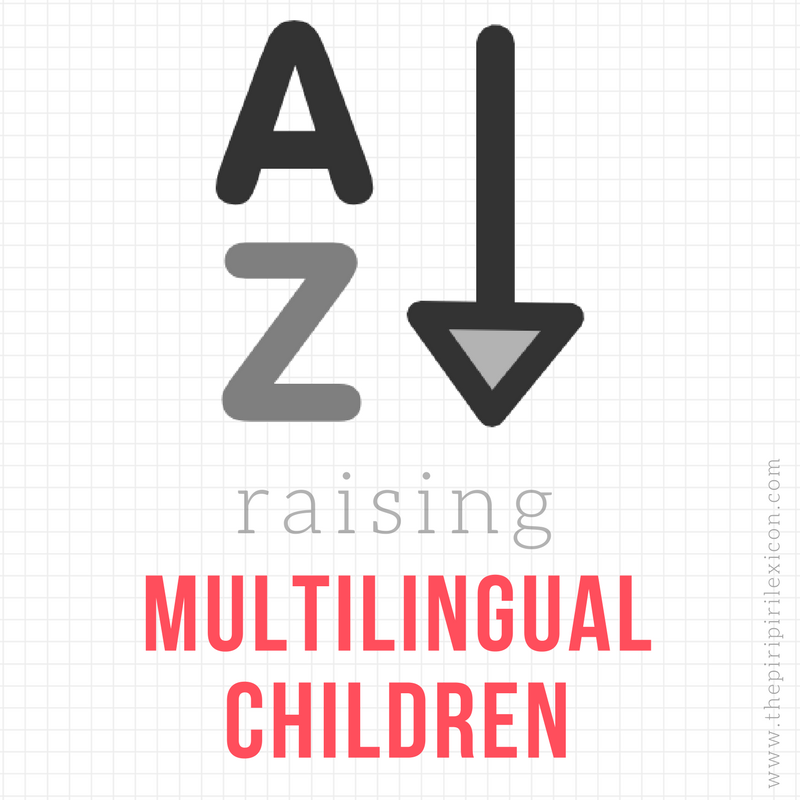 Create a multilingual life that will show your children that being multilingual is the norm.